Timeless glamour. London’s most elegant address. Your perfect day. The epitome of breathtaking grandeur. 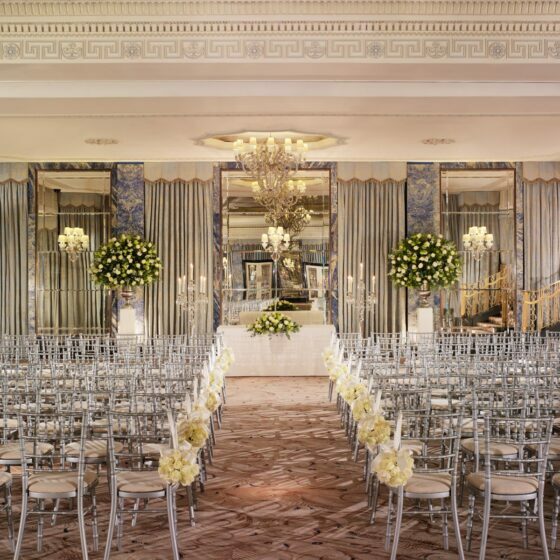 A magnificent banqueting room with its own entrance on Park Lane, this has been the setting for some of London’s finest gatherings. Stylish, intimate and utterly unique. 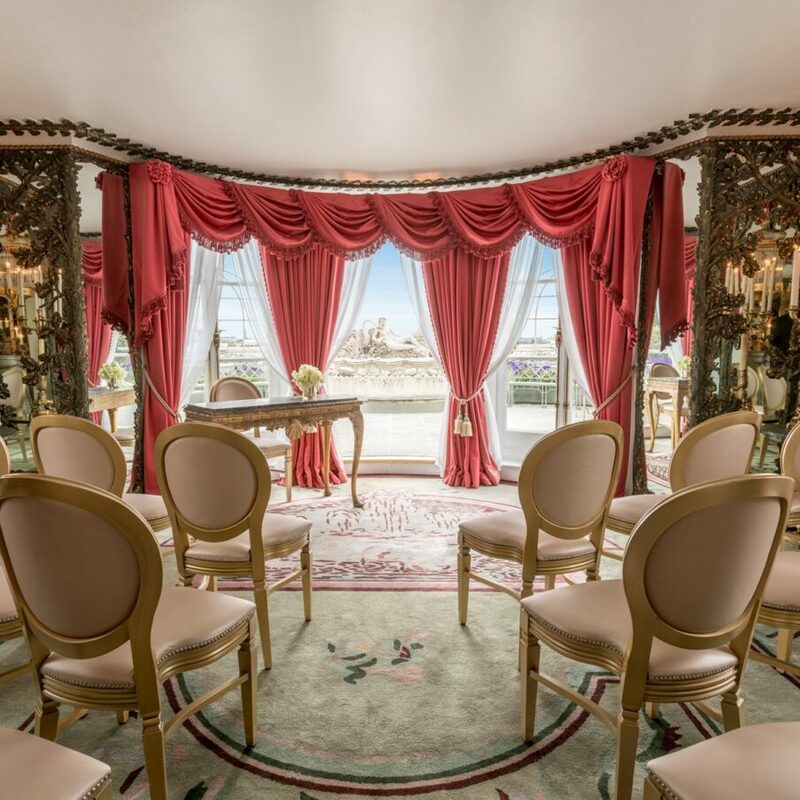 These beautifully ornate rooms lead onto a charming roof garden with spectacular views across London’s skyline. The perfect place to create memories. The contemporary décor reflects in Liberace’s shimmering piano. With a gorgeous, sweeping staircase down to your own private lobby, this room is modern luxury at its best. The Orchid Room’s pale, Wedgwood-inspired interiors and gentle lighting create a room of calm elegance and historical beauty. High ceilings add to the sense of airy magnificence. 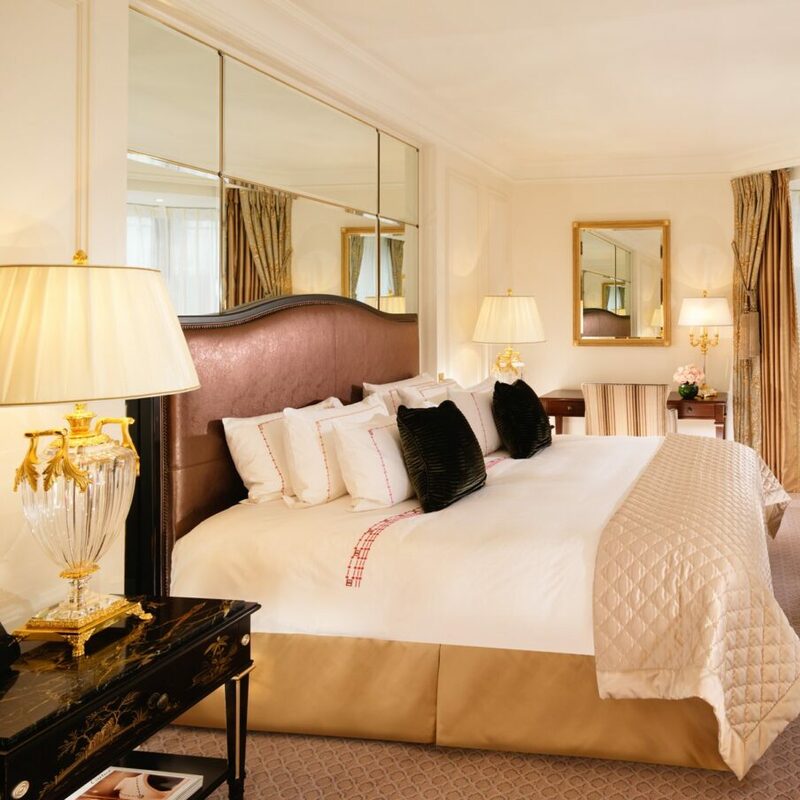 Beloved by royalty and watched over by Hyde Park’s majestic gaze, these rooms add a touch of sheer glamour to any occasion. 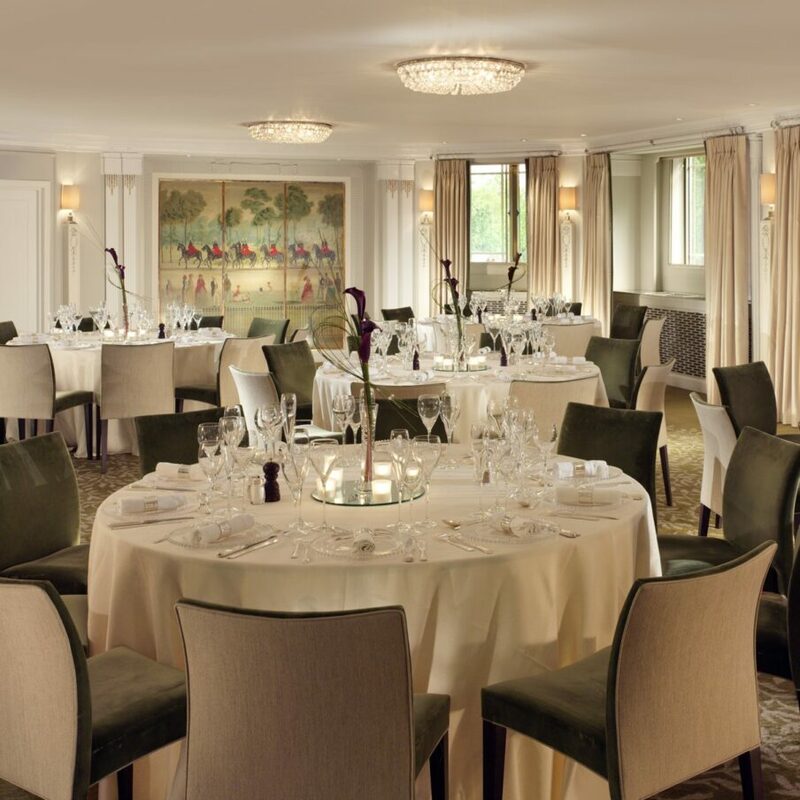 Offering everything from refreshment bars to spectacular dinners, our banqueting team will work with The Dorchester’s executive chef, to provide the perfect menu for your wedding day. The only limits are those of your imagination. To add even more delight to your day we’ve crafted a range of amazing offers, rewards and packages to suit every budget. From the magnificent displays to the most delicate of wedding bouquets, our in-house floristry team brings sheer artistry and pride to their every creation. 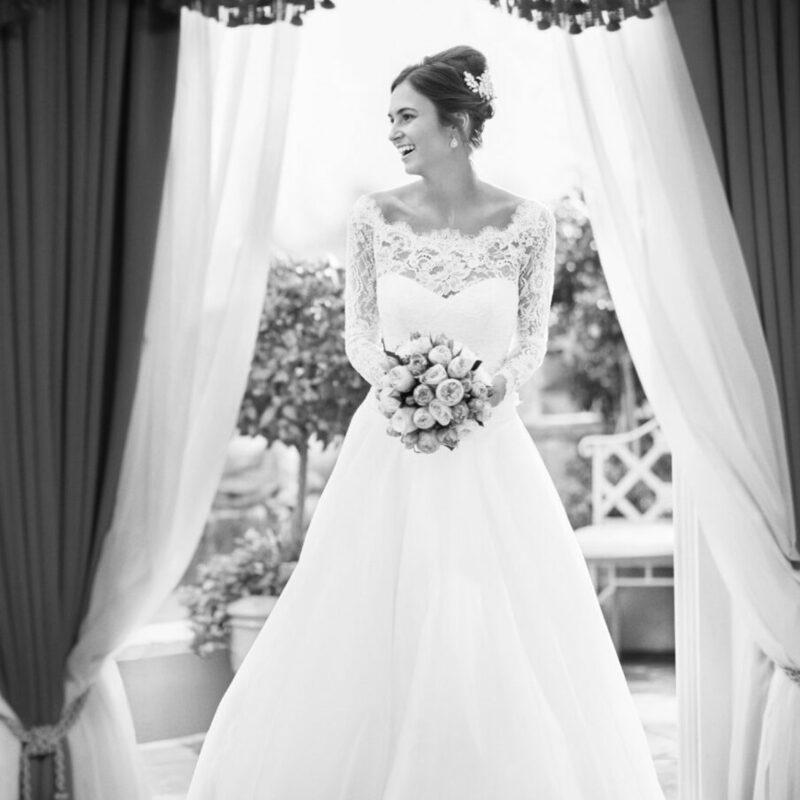 As well as the perfect wedding destination, we also have 250 spacious rooms and suites in which to ensure your guests have a wonderful sleep after a wonderful night.